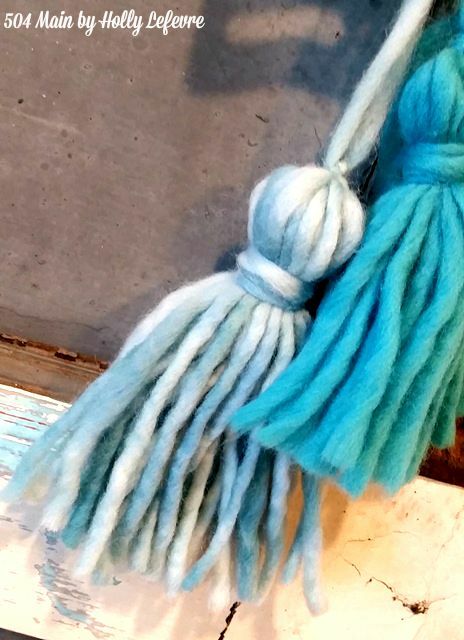 I have always been obsessed with tassels. I really cannot even begin to tell you how much I love them - on shoes, pillows, blankets, jewelry...everywhere and anywhere. Since I moved to Texas, I have been Tassel-less...but not anymore! 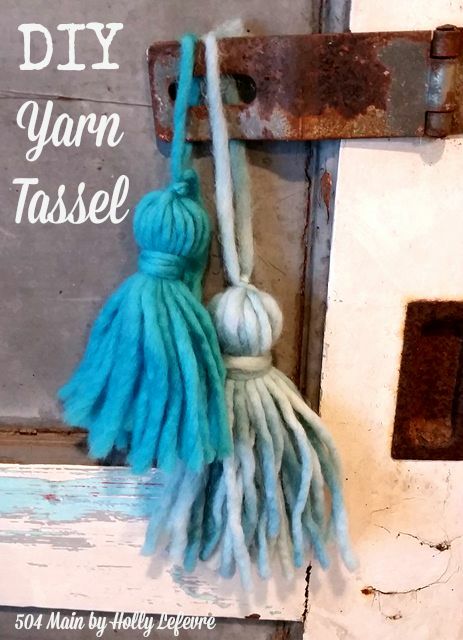 I have decided to theme my Fall decor around tassels, and here is where I am starting...DIY (easy) Yarn Tassels. 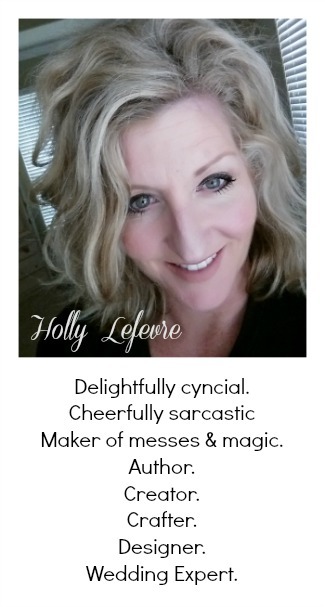 Honestly making these is a BREEZE - a Fall Breeze! 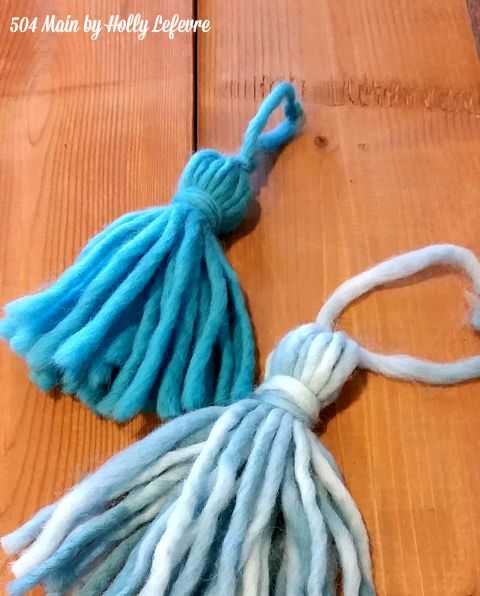 I have a bajillion projects planned for tassels around the house right now...but first let's make some. 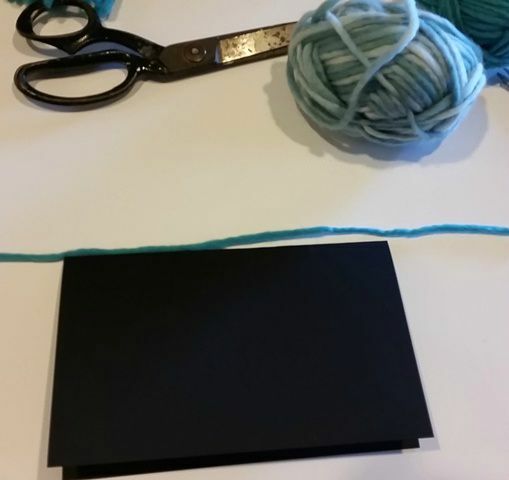 At the top of the rectangle, lay one piece of cut yarn. Hold that end in place (as try to hold the top cut piece too) and start wrapping. Wrap a few times then adjust your top cut piece - you want it right along the top, now it should hold in position. I wrapped my yarn around 20 times (that gives you 40 pieces hanging down when you are down). 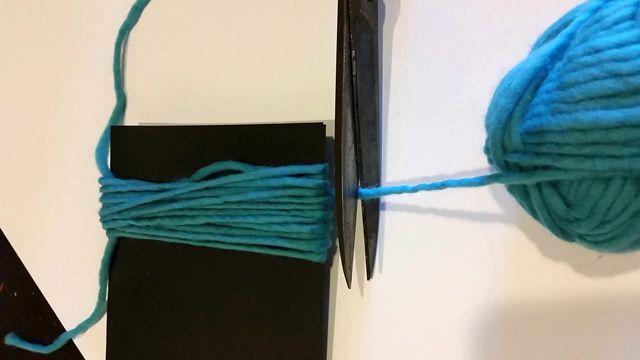 Trim the ball of yarn from the would ribbon. 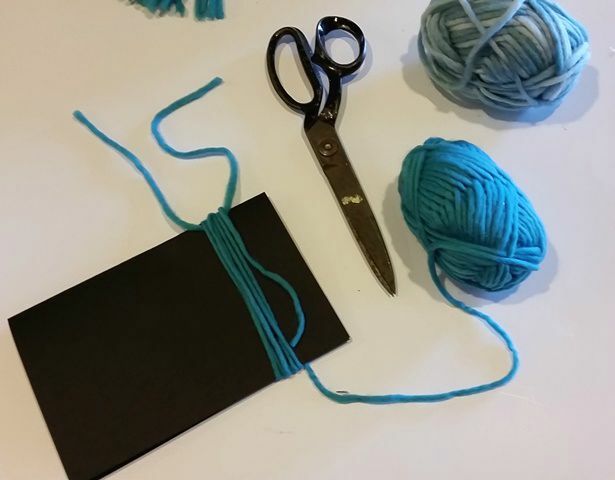 Lay the rectangle down and tie the top piece of yarn at the top of the wound yarn. 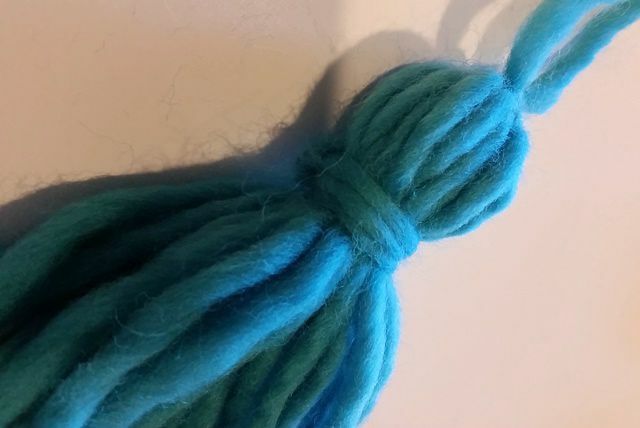 This holds it all together (and give you a yarn length to hang the tassel - it can be trimmed later). Once the yarn is off the cardboard, I like to fluff the sides - to make it appear full all over. About 1/2" down from the tied end take your other piece of cut yard and tie it. then wrap that piece (each end going in the opposite direction) until you have 2-3" length left at the ends. Tie it off with a knot. 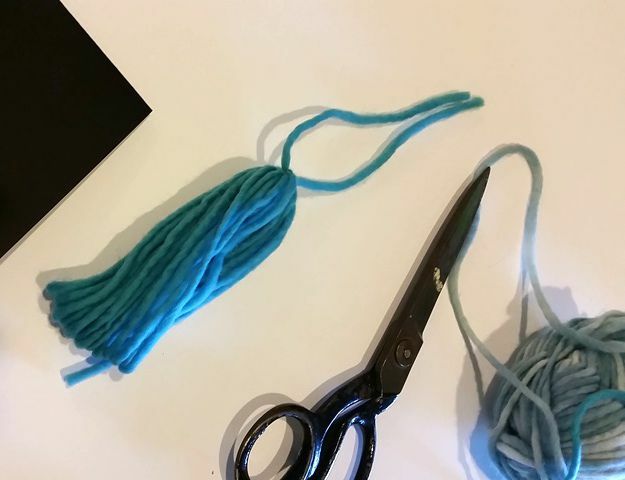 Now, once the top yarn is tied to secure the tassel and the second yarn is tied and wrapped, you are almost finished. 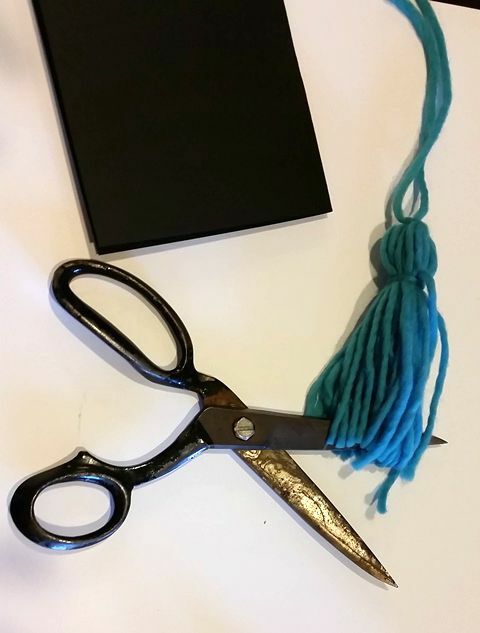 Cut the bottom of your tassel (side opposite of where you have been working). Cut right at the fold. Once you cut, go ahead and trim if necessary. 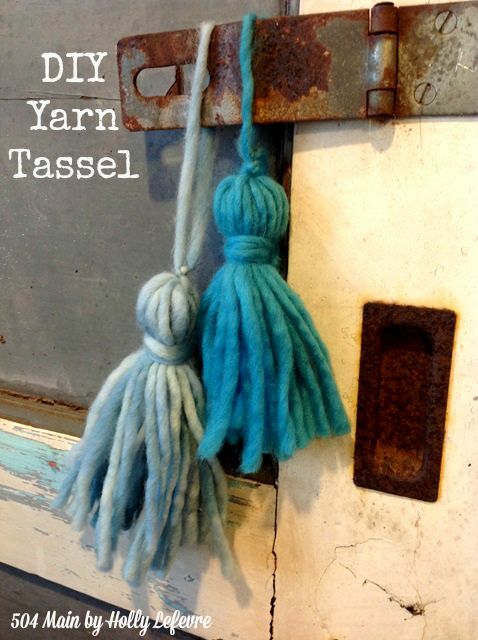 Now, keep on making tassels for all those Fall projects!